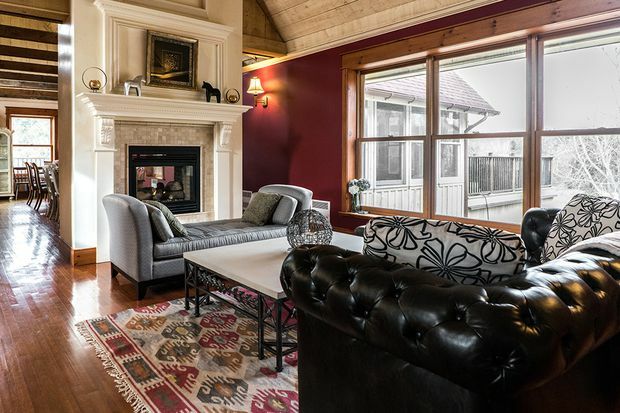 Example of a luxury cottage used by Retreatify. The two-sided platform pairs business groups with owners of cottages and chalets within 200 kilometres of the Greater Toronto Area, offering add-ons such as transportation, catering and entertainment. On-site yoga, limos and private chefs at cottage country homes are not just for vacationers with a luxury holiday in mind. Those options and more are now available to companies planning team getaways. 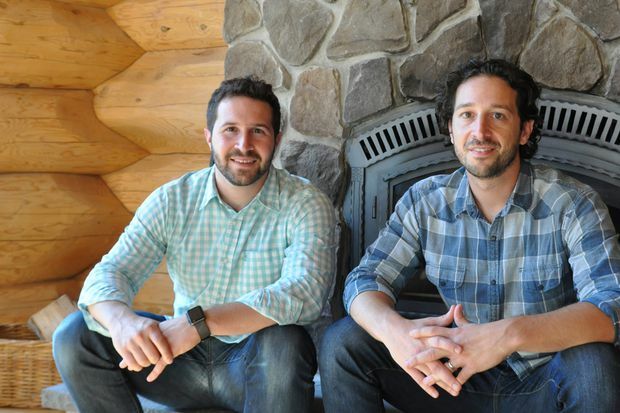 Retreatify, a Toronto-based tech startup, personalizes corporate trips by helping businesses “build their own retreats.” Launched in May by brothers Nir and Ron Zahavi, Retreatify simplifies the planning process for retreats of up to 25 people. The two-sided platform pairs business groups with homeowners’ empty cottages and chalets within 200 kilometres of the Greater Toronto Area, offering add-ons such as transportation, catering and entertainment. The concept caters to a new corporate travel movement that swaps dull hotel boardrooms and tired resorts for local, authentic retreats that reward employees, bond teams and improve company morale through memorable experiences. Co-founders of Retreatify: Ron Zahavi, left, COO, and his brother Nir Zahavi, CEO. The first step involves a phone call. 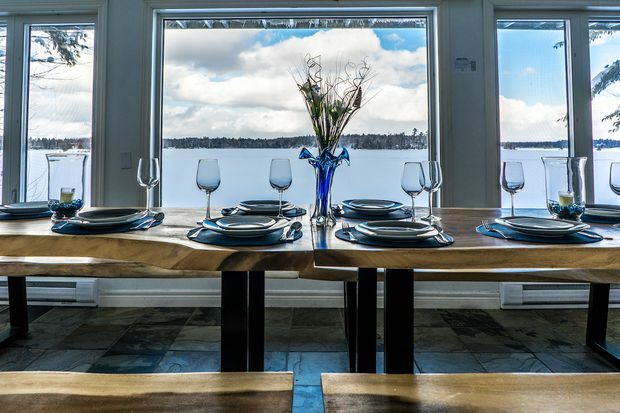 After a business speaks with Retreatify, a team member will recommend one or more of their 12 all-season homes in Muskoka, Orillia or Barrie. From there, employers use an online retreat planner to review pricing and browse optional add-ons that range in extravagance from van to limo bus, groceries to private chef and projector setup to in-home massages and boat rentals. The breadth of choice allows Retreatify to accommodate companies with a range of budgets. The homes, which all sleep between 12 and 25 people, range in price from $800 to $1,925 per night with discounts for additional nights booked. Activity add-ons can be as inexpensive as $20 per person for an hour-long, in-home yoga class. The concept has already proved popular with both small and large businesses. In six months, the company has played host to more than 250 retreats, attracting high-profile clients such as Shopify, Bell and CIBC. “Companies have to figure out how to incentivize and retain great employees,” Mr. Zahavi said. “Our generation [millennials] expects a certain level of personalization and customization." As a two-way platform, Retreatify also serves upscale recreational homeowners who want to list their properties as retreat homes. The service helps owners offset their costs and earn income during low-demand periods, such as the winter or the middle of the week. Retreatify also vets clients and uses safeguards, such as damage deposits, to increase owners’ peace of mind. Coupled with professional cleaners, Retreatify provides advantages compared with a catchall accommodation-sharing platform such as Airbnb. Companies such as Retreatify may play an increasingly important role in Canada’s economy. An estimated 2.7-million Canadian adults participated in the sharing economy between November of 2015 and October of 2016, spending $1.31-billion, according to Statistics Canada. Use was also linked to youth. Sharing-economy participants were heavily concentrated among millennials aged 18-34, and although the survey found only one in 10 Canadian adults used sharing-economy services, such as the ride-sharing app Uber or Airbnb, the number of participants is expected to grow. However, growth could mean more competition for Retreatify. Chris Gibbs, associate professor at Ryerson University’s Ted Rogers School of Management in Toronto, expects to see more diversification. For now, Retreatify has cornered a niche market. While other accommodation-sharing platforms, such as British-based Onefinestay, offer luxury vacation homes and a concierge service, it isn’t available in Canada. And although other Canadian companies, such as Moniker, provide corporate retreat planning, Retreatify instead is targeting only small to mid-sized retreats. But there are still challenges. Dr. Gibbs said there are inherent risks built into any two-way market. Retreatify can stock the cottage with groceries, supply catering or provide a private chef. But Retreatify does have some built-in flexibility. Its business model allows any business group to order its add-ons, even if they are staying in a property that is not among those offered by Retreatify. Mr. Zahavi said Retreatify is concentrated now on booking fall retreats, Christmas events and end-of-the-year employee appreciation programs. But to keep up with the growing demand, Mr. Zahavi said Retreatify will hire 10 employees over the next year, increasing its five-person team. In three to six months, the startup will also explore raising an initial round of seed funding. He said the company plans to focus on Toronto for at least the next year. Its next move will be to expand to Prince Edward County in Ontario in early 2019. Eventually, Mr. Zahavi said the company may explore other areas in Canada. The Retreatify experience taps into the natural way people bond at home around a breakfast table or in the kitchen – a feeling that’s hard to replicate in a traditional retreat location, such as a hotel or resort, Dr. Gibbs said.